Also known as the Long-toed Pigeon or the Madeira Laurel Pigeon, the Trocaz Pigeon is a pigeon that is endemic to the island of Madeira. It was first formally described by a German Doctor and Orinthologist, Karl Heineken, in 1829. Heineken was living on Madeira and he realised that there were 2 different species of pigeons – the now extinct Common Wood Pigeon called “Palumbus” and the “Trocaz” pigeons. 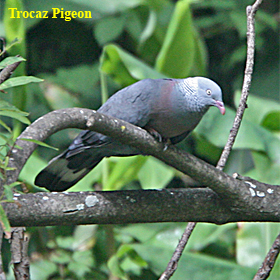 The Trocaz Pigeon is a dark grey bird which is rather plain. It is 40 to 45 centimetres long and has a wingspan of about 68 – 74 cm long. Its upper back has a violent sheen, which gradually becomes green on the back of its neck. The sides of its neck are a silver-white. Its tail is black and has a wide pale grey band. Its flight feathers are mostly black. Its upper breast is pink, its eye is yellow, and its bill also has a yellow tip with a reddish-purple base. The Trocaz Pigeons legs are red. 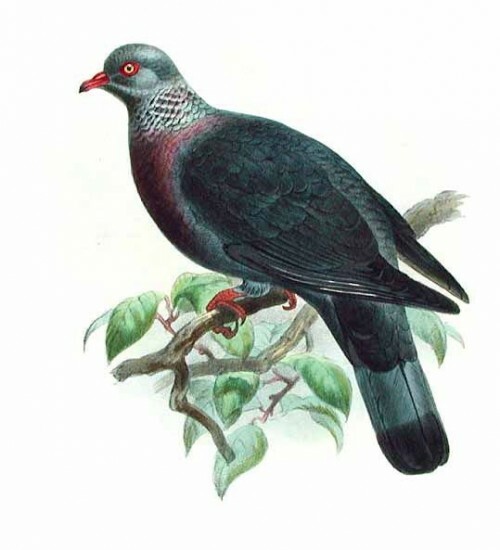 As mentioned above, the Trocaz Pigeon is endemic to Madeira. However, it did used to breed on nearby Porto Santo Island. It prefers the northern slopers of the mountains, although there are some Trocaz Pigeons which are found in the south. It likes to live in dense tree heaths or tall laurisilva forests. These forests include Azores Laurel, Til, Canary Laurel, Madeira Mahogany, Faya, Picconia, and Lily of the Valley Tree. The bird used to abundant when the islands of Porto Santo Island and Madeira were first colonised by human beings. 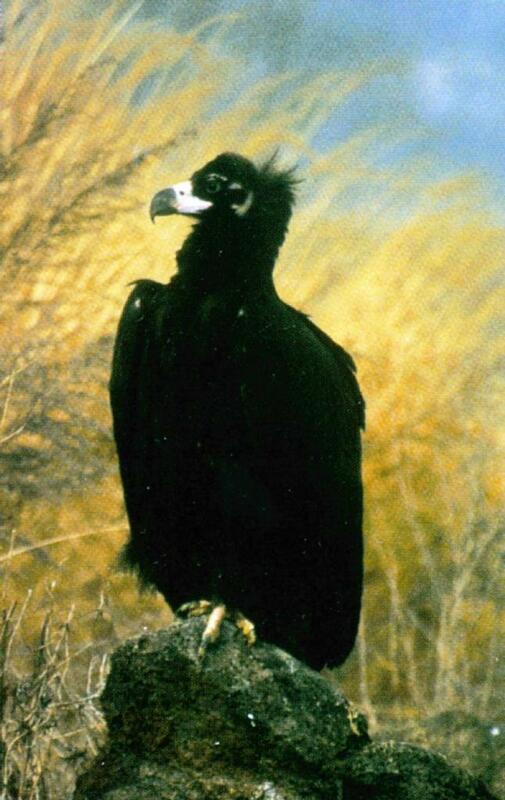 The population declined to 2,700 birds in 1986. As a result, hunting was banned that year and now there are between 7,500 – 10,000 Trocaz Pigeons alive. Reasons for its population decline other than hunting include deforestation to create grazing and agricultural land. There is still some illegal hunting going on. Other than human influence, Black Rats take the Trocaz Pigeons eggs. There is currently a management plan for the Trocaz Pigeon. The Parque Natural da Madeira National Park conducts an education campaign. As the population of this species is increasing, it is now classed as Near Threatened on the IUCN Red List. This is an improvement since 1988 where it held a Threatened status. It is also protected by the European Union Birds Directive.